Two English people meet an eccentric lady in the south of France... 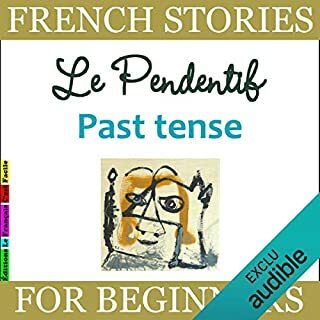 This long short story is perfect for beginners: you'll be able to enjoy a whole story in French, grow your vocabulary in a natural way, and improve your comprehension whilst learning the correct pronunciation. The story is narrated by the author with special emphasis on early text comprehension practice and pronunciation. Two English people decide to look for an old friend in France. Will they find him after forty years of absence? 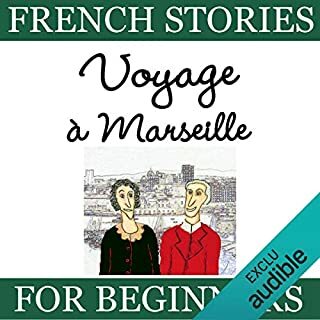 This story is perfect for beginners: you'll be able to enjoy a whole story in French, grow your vocabulary in a natural way, and improve your comprehension whilst learning the correct pronunciation. The story is narrated by the author with special emphasis on early text comprehension practice and pronunciation. 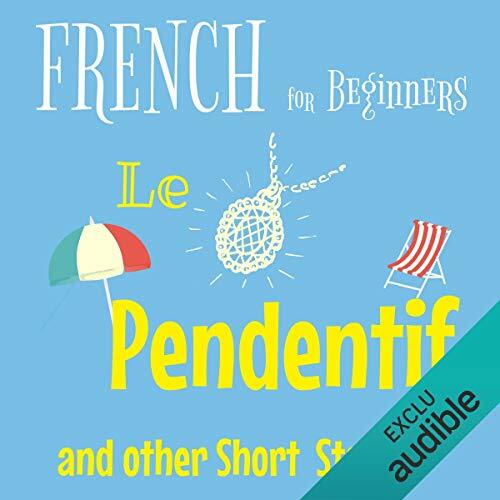 To maximize study effects, we recommend listening to this audiobook together with a paperback or ebook edition of "French Stories for Beginners - Voyage en France", which contains useful French-English glossaries and a large french-english dictionary at the end of the book. A man discovers a pendant on the beach. He starts looking for its owner... 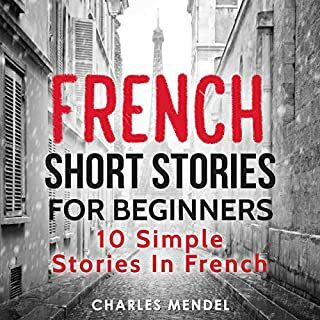 This collection of short stories is perfect for beginners: you'll be able to enjoy a whole story in French, grow your vocabulary in a natural way, and improve your comprehension whilst learning the correct pronunciation. The story is narrated by the author with special emphasis on early text comprehension practice and pronunciation. Live everyday life with Charlotte in France! 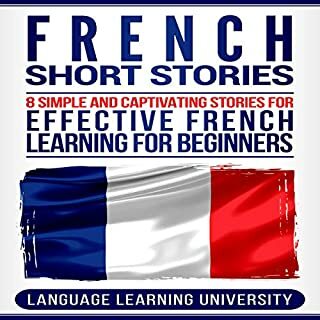 These French short stories are just perfect for beginners and intermediate learners. It's a pleasant way of expanding your vocabulary, immersing in the French language and improving your comprehension whilst learning the correct pronunciation. The stories are narrated by the author with special emphasis on early text comprehension practice and pronunciation. 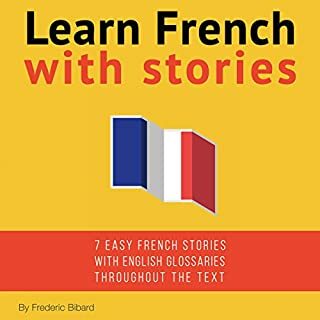 These eight captivating stories will ignite your imagination so you can learn French quickly and easily. 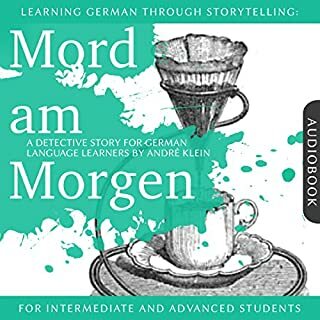 In this audiobook, you will encounter rich and new but not too complex vocabulary that is translated at the end of the chapter, avoiding the hassle of having to stop the listening rhythm to look up every word in the dictionary. 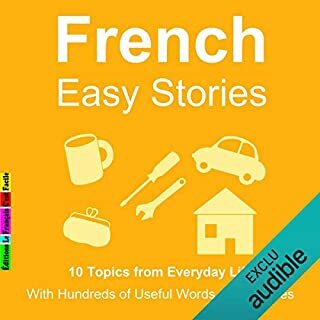 This audiobook proposes you a simple but effective way to learn French through stories for beginners (level A1 and level A2). 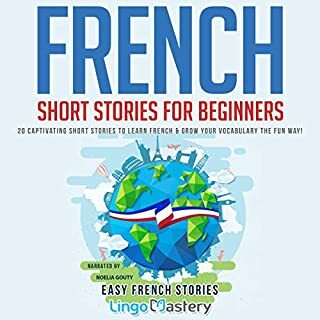 These short stories are perfect for beginners: you'll be able to enjoy a whole story in French, grow your vocabulary in a natural way, and improve your comprehension whilst learning the correct pronunciation. The story is narrated by the author with special emphasis on early text comprehension practice and pronunciation. 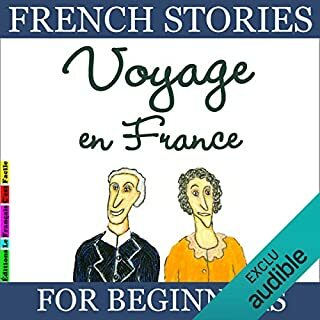 To maximize study effects, we recommend listening to this audiobook together with a paperback or eBook edition of French Stories for Beginners - Voyage en France, which contains useful French-English glossaries and a large French-English dictionary at the end of the book. For students from beginner to intermediate level (A0-B1 on the Common European Framework of Reference). Not having many opportunities lately to speak French, I'd been reading it. But, I noticed trying to watch a movie that I was stopping and rewinding because I was missing some things. It just felt harder to understand. And, I realized while reading it wasn't a problem, hearing it and understanding was sort of slow. 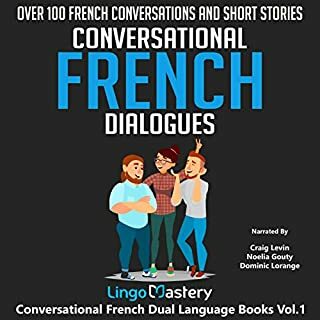 When, I did have an opportunity to speak to a family friend, I found myself pausing and sometimes even translating in my head from French to English, which I'd never done before. So, it seemed I needed to re-train my ears, so to speak. I started trying to watch more French television, but I don't have a lot of time for that. 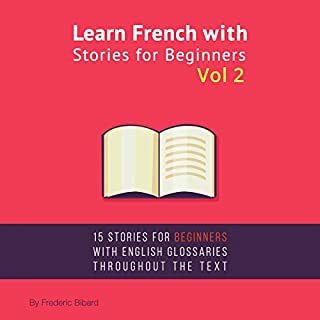 And, since I'm always listening to audiobooks, I did a search for audios en francais, and found these. While I hope that the stories continue and maybe become more advanced, I'm enjoying listening to them. I'm speaking to everyone in my house in French today. 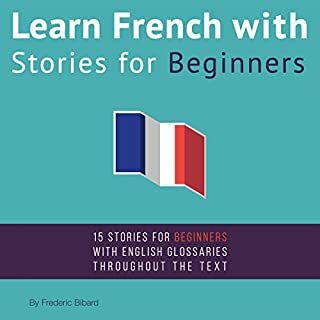 When I previously searched for French audios, there were only a few French children's stories. They were cute, but very short. And, I'd love more variety. Will be searching out more books in French. sylvie laine has a knack for charming yet compelling stories, with a voice to match. I hope she keeps writing and talking! beautiful little stories, very interesting. they are especially made so that you learn as many useful words as you can. the voice is pleasant and the speed and clearness of the reading perfect. doesn't have too many chapters but you can always re-listen them since they are not boring at all. It is a pure joy to be able to listen and understand the spoken word in French. You must of course be at about intermediate level to dive right in. For any words that are unclear after several times through, there is a written text which you can refer to available for the Kindle from Amazon. Really enjoyed the print book and the audible. Excellent format which is making the learning of French effective and efficient. The narrator reads this with no expression at all. It's all monotone. The stories aren't bad. I'm interested to see what comes next, so it's a good study aid, but I want to hear it the way it might sound in reality.